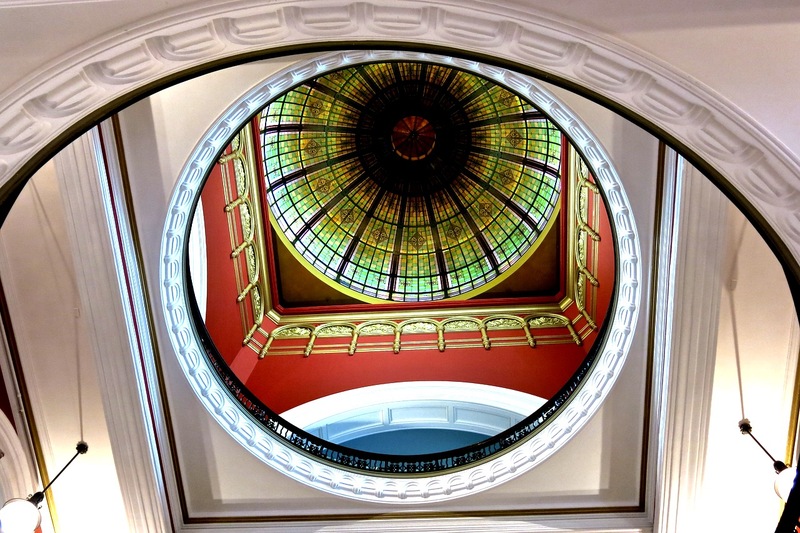 Andrew Hogarth – QVB Image Published. With the completion of my American Indian negative photographic images in 2011. I have been steadily shooting areas of my home city of Sydney, New South Wales, Australia. Now with the new Fujifilm X Pro 1 Digital Camera I am enjoying the change from film to digital imagery. I was pleased and excited to have one of my Queen Victoria Building images published across two pages in the June issue of the Australian Journey Magazine. It is always nice to help keep hardcopy in the public eye. Looking at a screen with a light bulb behind it can get a touch sore on the eyeballs! This entry was posted onSunday, July 21st, 2013 at 3:49 pm and is filed under Storytelling, Sydney, NSW, Australia. You can follow any responses to this entry through the RSS 2.0 feed. You can leave a response, or trackback from your own site.